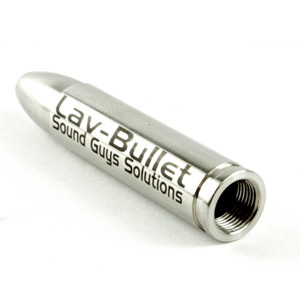 Sound Guys Solutions’ Lav-Bullet Blank is designed to simplify and speed up the process of mic’ing talent. The shape and weight of the smooth, stainless-steel Lav-Bullet prevents hang-ups and snags along the path to connection. 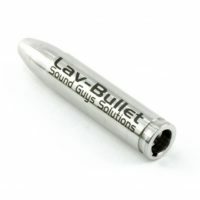 The Lav-Bullet Blank is the original version of the Lav-Bullet, and a separate connector will need to be purchased. 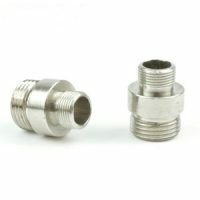 TA, Lemo, Locking Mini, and Waterproof adapters are available. Once connected, simply drop the Lav-Bullet Blank into whatever garment you are accessing. 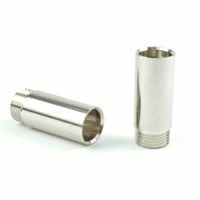 The Lav-Bullet Blank will make a smooth drop and exit where it can be routed to the body pack transmitter. This item has no adapter included. Adapters are sold separately.